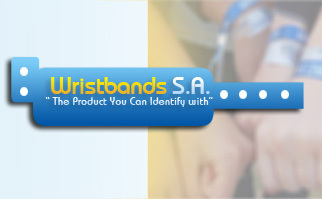 Wristbands SA is the leading supplier of wristbands is South Africa, we offer Vinyl and Tyvek Wristbands in a multitude of different colours and have stock on hand at all times available for immediate dispatch. 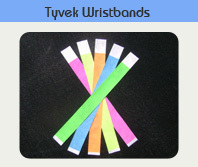 Our Wristbands serve as highly visible, non-transferable tickets that are worn by patrons. 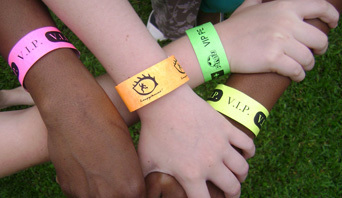 Whether you use them for general admission or special access Wristbands allow your staff to see if participants and patrons are where they should be. 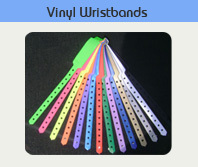 • Use different colored wristbands to identify different areas. Custom printing allows you added security. 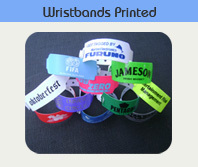 • Serial numbered wristbands help keep track of wristband inventory and admissions. • As a leading South African distributor of this type of product we are able to offer competitive pricing, rapid turnaround and an extensive colour range.